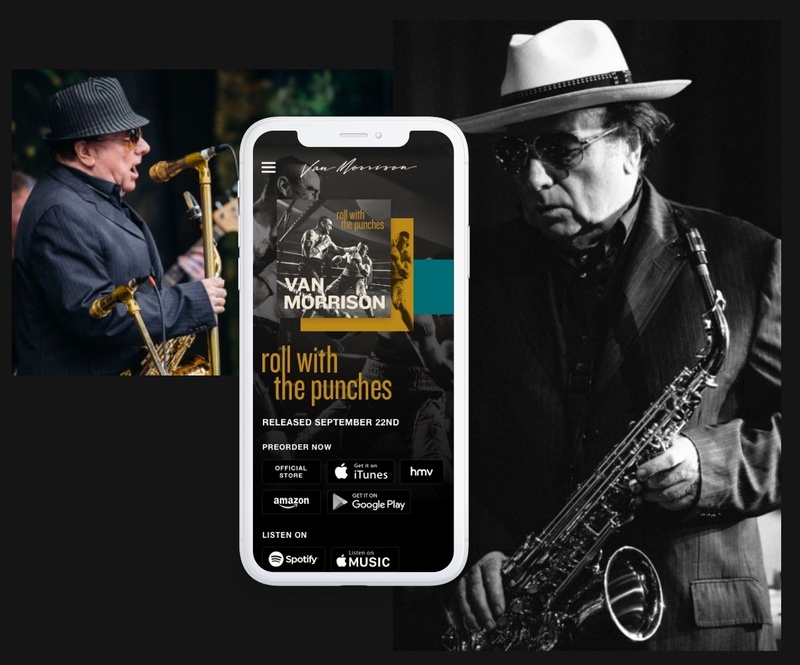 Eyekiller’s innovative website for blues legend Sir Van Morrison, one of Northern Ireland’s most famous global musicians, went live to coincide with the launch of his album ‘Roll With The Punches’. 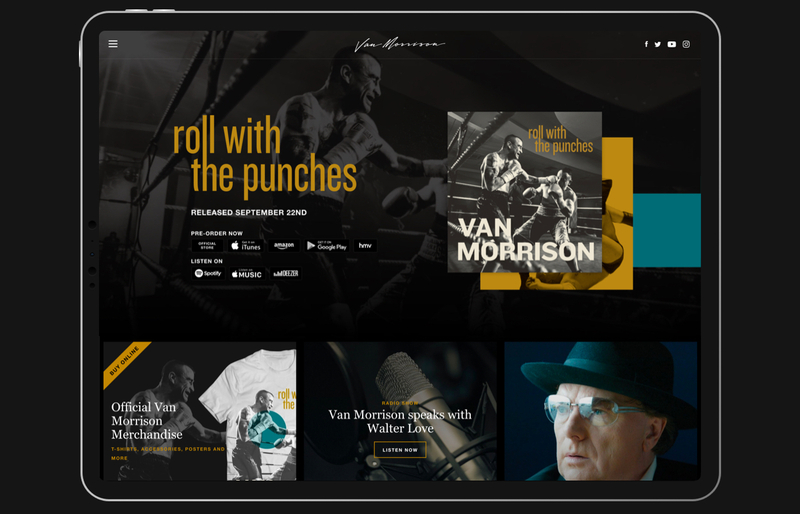 Exile Productions wanted a website that provided an effective showcase for Van Morrison’s new releases and extensive back catalogue. They also sought to create a platform for the fan community to engage with each other and share stories. 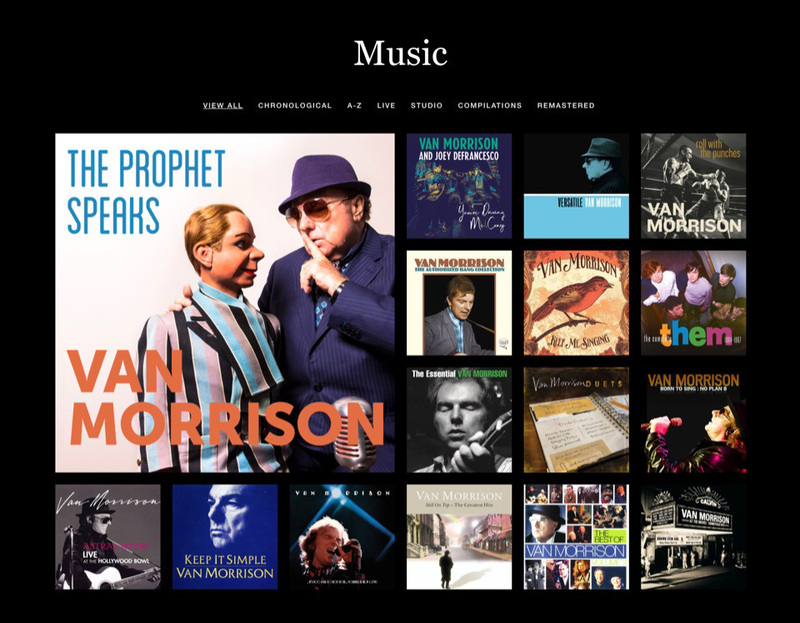 Being trusted with creating the online presence for an internationally revered artist was a fantastic opportunity for the Eyekiller team. 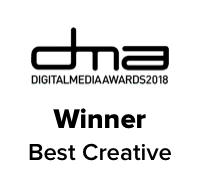 We dived immediately into User Experience (UX) workshops and testing, to determine the most compelling Information Architecture (IA) for the site. 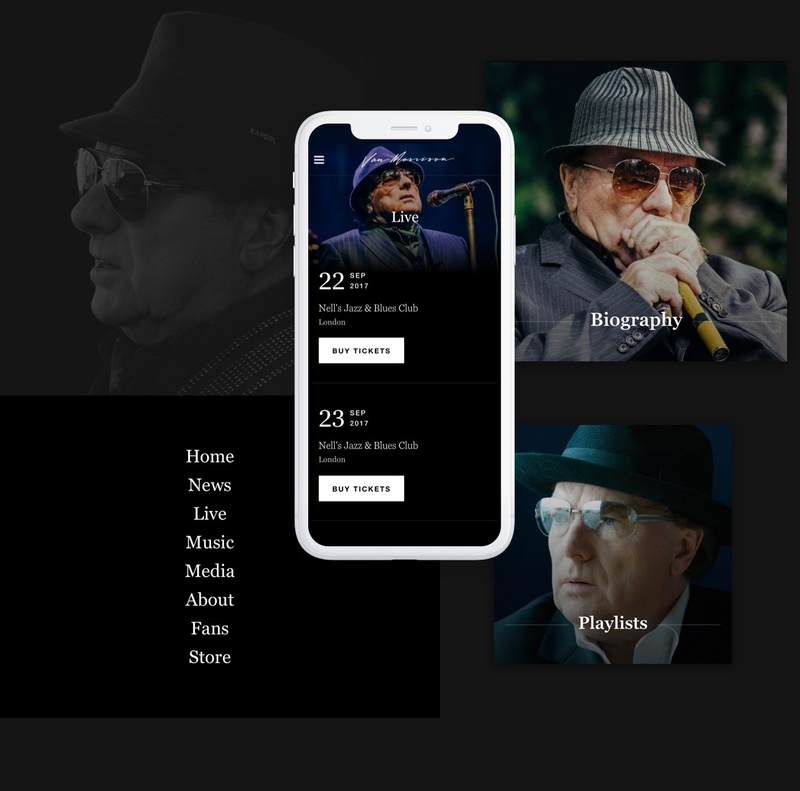 In our bid to create a high-impact site, we moved away from traditional design and created a modular concept that would lend itself to curation and editing. We created a bespoke fan wall for visitors to encourage participation. 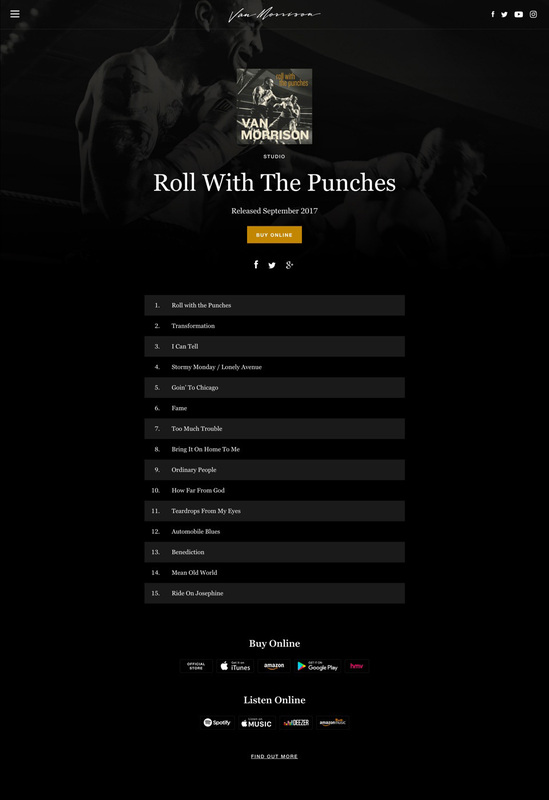 Finishing ten days ahead of schedule, our responsive website worked perfectly across all devices, and Roll with the Punches shot straight to the top of the charts. 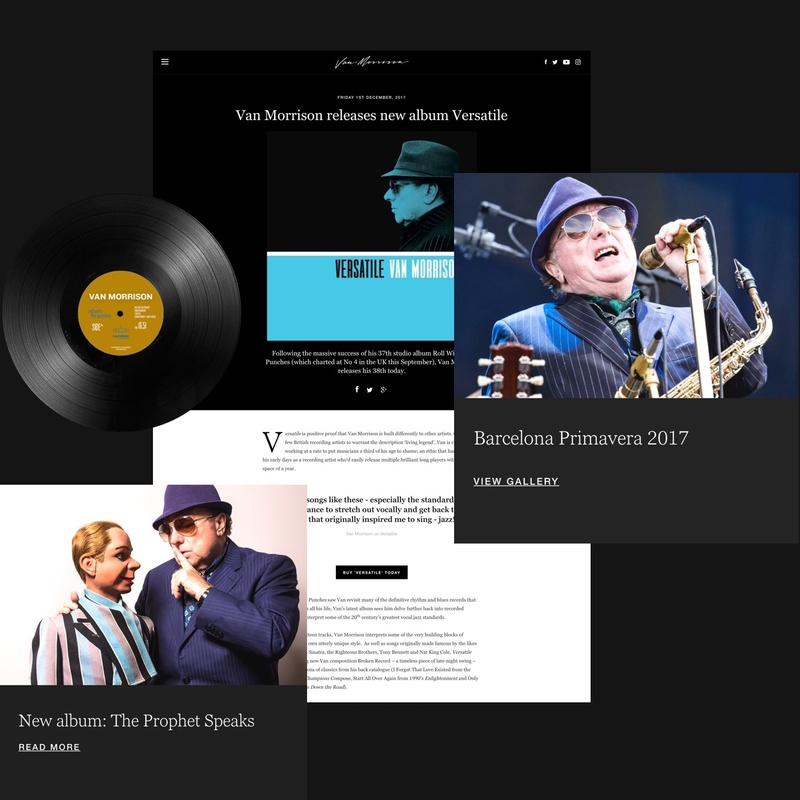 We continue to refresh and update the site as new material is released, maintaining a vibrant resource for the ‘Vanatics’!